Hi crafty friends. Today I have a cute little card to share that I made for my niece for her birthday which happens to be today! Happy Birthday Melina!! My card features a new stamp and die set from My Maker’s Movement and some Baker’s Twine from Really Reasonable Ribbon. I dusted off the Copic markers for this one and it was fun!! I need some more practice, but it was a nice change from my usual style. The fuzzy layer of paper behind my main panel is mulberry paper. If you would like to see how I use this paper, I have a video HERE. What a cute card. Your niece will love it too. Thanks so much Verna. I had a lot of fun making this card. I’m glad you like it too. Thanks so much for stopping by and leaving me a sweet comment. Happy crafting! 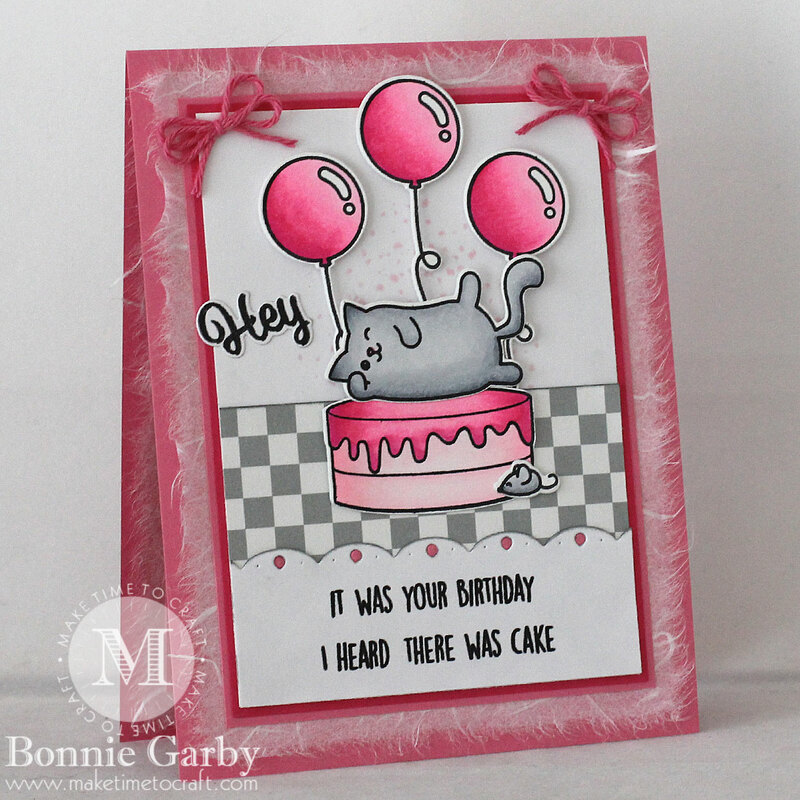 I absolutely ADORE this sweet card, Bonnie. That stamp set is darling, and you’ve colored it perfectly. Love everything about this sweet creation. Thanks so much for sharing it with us. Thanks so much for stopping by. I’m so glad you like my card. Happy crafting! What a fun card! I love the image and the sentiment. You know, when the cat’s away, the mice will play! That cat is so wrapped up in cake thoughts, I don’t think he’s even aware that the mouse is taking a bite, too! 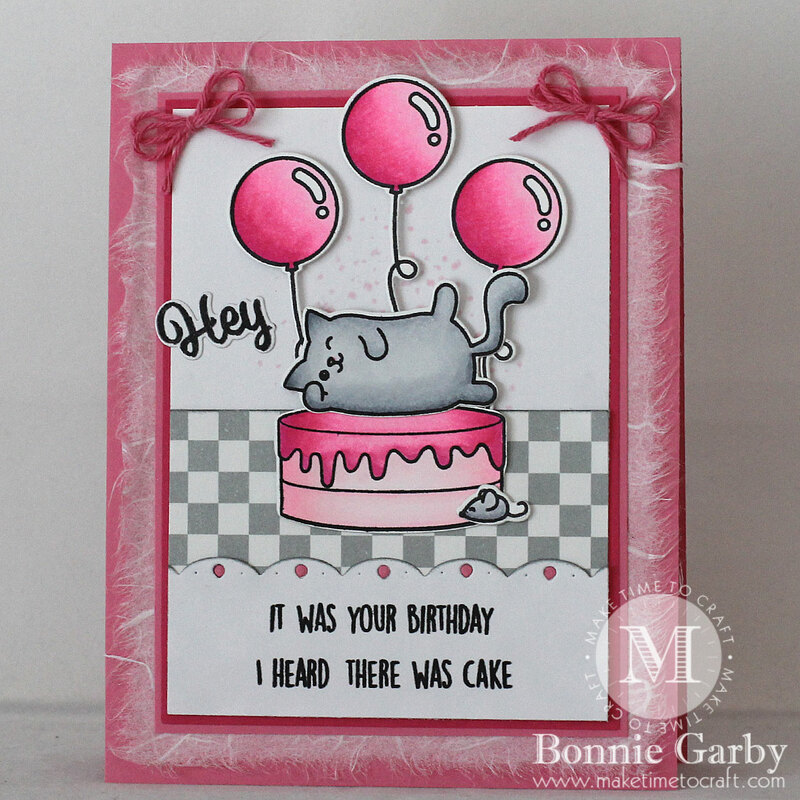 Thanks for joining us for our Cut it Up for our Birthday challenge! Thanks so much Evelyn. I had a lot of fun making this card and coloring the images. Such a cute set. I’m so glad you liked it too. Happy crafting! Love your card, it is totally cute and I’m sure your neice will be over the moon about it! Both the color and design rock. 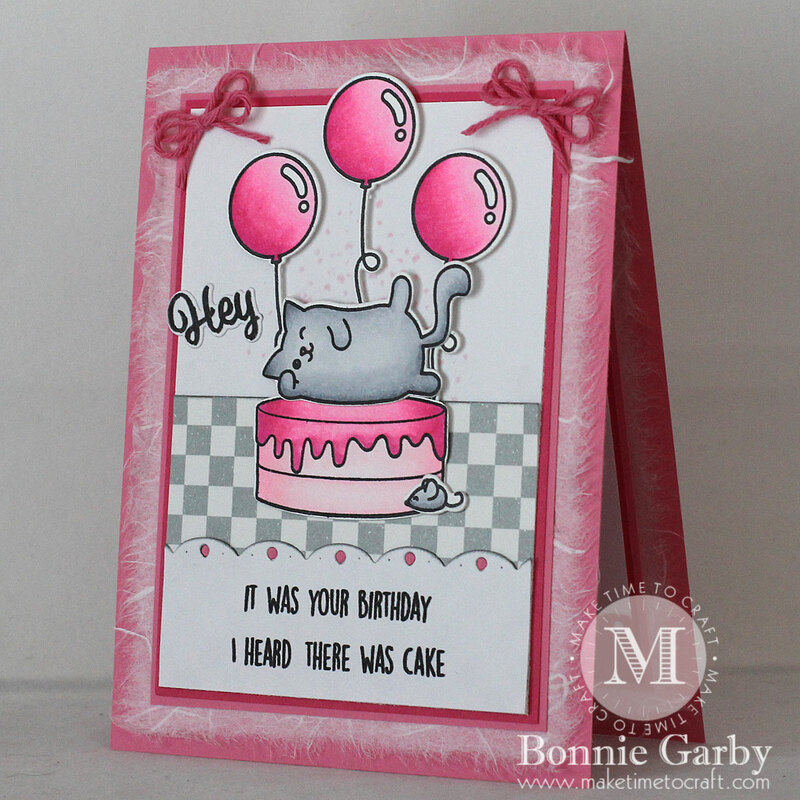 Thank you for joining us at our Cut it Up birthday challenge. What a super cute and fun birthday card!! Thanks for joining us at Cut it Up challenge! Oh wow, what a lovely birthday card so bright and pops out for sure, love the cat rolling around on top of it,stunning work. Thanks so much for stopping by and leaving me a lovely comment Megan. I’m so glad you like the card. Happy crafting! 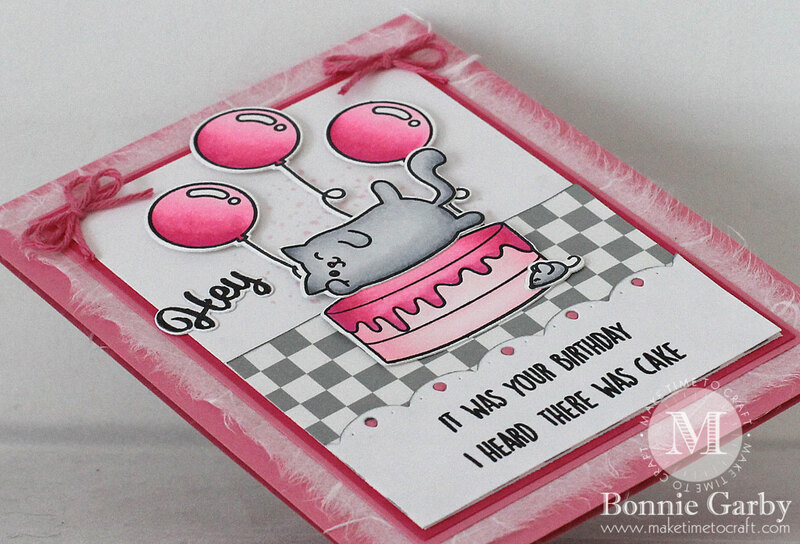 Bonnie, this is a great CAS card. I love that image! A lovely card! Really fun!!!! Thank you soo much for taking part in our challenge over at Brown Sugar & good luck in the draw. Aww, this is absolutely a cutie. From image, coloring and lay-out, it’s fab! Thank you for joining our September Challenge at 613 Avenue Create. Our October Challenge is ongoing and we would like for you to join us again. Have a wonderful day!